The ability to be in the shoes of other investors and feel what they are feeling is an indispensable weapon in the investor’s armory. Paul Tudor Jones, a billionaire hedge fund manager, affirms that it is less important to understand news than to anticipate the market’s reaction to it. The best way to do so is through empathy. For example, in early 1990, Jones empathized with the tremendous pressure Japanese fund managers were under to return at least 8% per year. While it may seem like an aggressive expectation in today’s market, the average Japanese household in 1990 had become accustomed to making at least 8% per year. Any manager who under-performed that hurdle rate ran the risk of losing his job. So when the market sold off 4% in January, the Japanese portfolio managers had a choice: they could keep their jobs and still make the 8% minimum return by reallocating aggressively into bonds or they could take a risk on trying to outperform by buying even more equities. [i] By putting himself in the shoes of the average Japanese fund manager, Jones realized that most of them would not want to risk their jobs. Consequently, Jones correctly bet that the Japanese stock market would suffer a major correction. Please see the Disclaimer associated with this blog. Paul Tudor Jones was not contacted for this and opinions are my own. First, let me start off with the disclaimer that while I was a managing director at a multi-billion dollar hedge fund for eight years, I have never actually run a firm. That being said, I have personal relationships with portfolio managers and analysts at many of the world’s largest hedge funds and believe that most of the leaders of these investment firms do at least one thing very wrong: they do not recognize the importance of their own moods. There is a tremendous amount of academic research on how mood impacts investing decisions. When we are happy, we are more inclined to take risks. When we are euphoric, we can become overly impulsive and overconfident. When we are sad, we become more risk averse. When we are depressed, we tend to want to change our lives. This can result in irrationally undervaluing what we own and overvaluing what we do not have. A firm’s overall mood fluctuates in correlation to how well or badly it is performing. When a firm is doing well, the firm’s analysts and portfolio managers will be happier and will ordinarily take on more risk. Similarly, when a firm is doing poorly, these same employees will be sadder and more risk-averse, all things being equal. Because markets tend to follow boom and bust patterns, this is usually the opposite of what they should be doing. Leaders should take advantage of their influence to actively regulate mood swings. Academic research suggests that the mood of a leader of any group is extremely contagious. A leader’s mood quickly gets transmitted throughout the rest of the organization. Therefore, leaders should proactively lift spirits after losses and be more morose when business is going well. They should put the focus on mistakes and the role of luck during the good times, and on what is being done well during the bad times. Most CEOs and CIOs do the exact opposite. They usually make employees feel even worse than they already do for losses, and they overly praise employees for good decisions. Instead of regulating mood’s impact on rational decision-making, they amplify it. 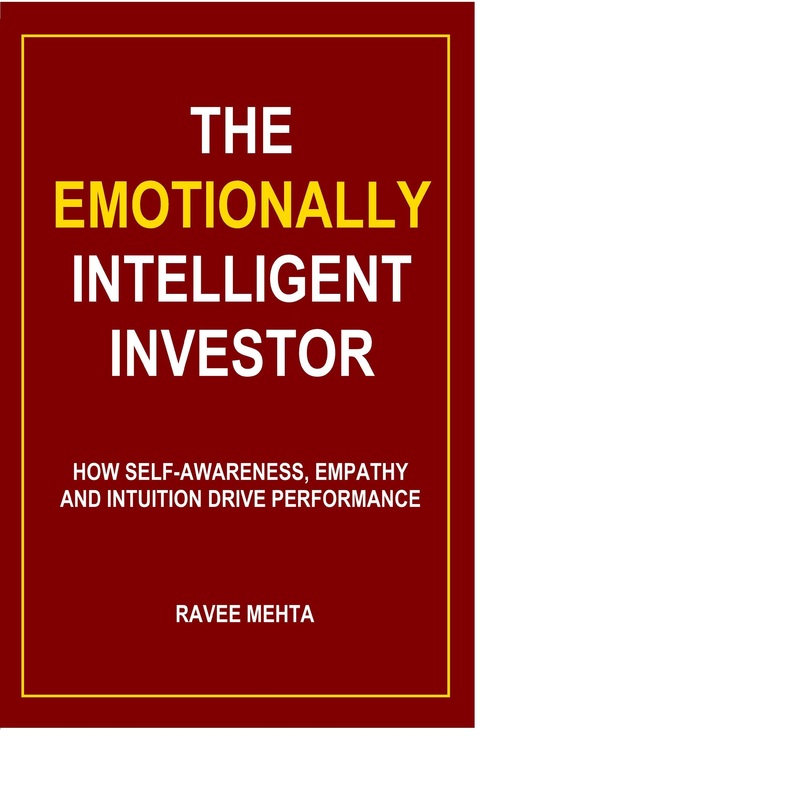 If you liked this post, you may like my recently published book: The Emotionally Intelligent Investor: How Self-Awareness, Empathy and Intuition Drive Performance. The consensus opinion on Wall Street and on Main Street is that investing success comes from blocking out emotions and making purely rational decisions. In this short article, I will try to convince you that this view is flawed. While there are many emotional biases that lead to investing error, tapping into certain feelings can very often also be beneficial. Instead of blocking out all feelings, Warren Buffett actually heavily relies upon at least two helpful emotional brain processes: intuition and empathy. Intuition is not some sort of magical sixth sense. Instead, it is a complex feeling that arises from pattern recognition. Chess grandmasters usually know their next move within a few seconds. Instead of suppressing their emotions, they first utilize gut feelings regarding their best possible move depending on how the pieces are laid out on the board. The intuition is the result of years of study and practice. These grandmasters then use their reason to make sure the move is safe. If the initial gut instinct is found to be flawed, they start the cycle again with another intuitive feeling. [i] There are too many possible moves for chess to be played any other way. Many of the best investors seem to do something similar. For example, Warren Buffett does not start his investment process by comparing a bunch of possible investment alternatives. He does not heavily depend on quantitative screening tools. Instead, Buffett intuitively gravitates towards a company he finds interesting and understands. 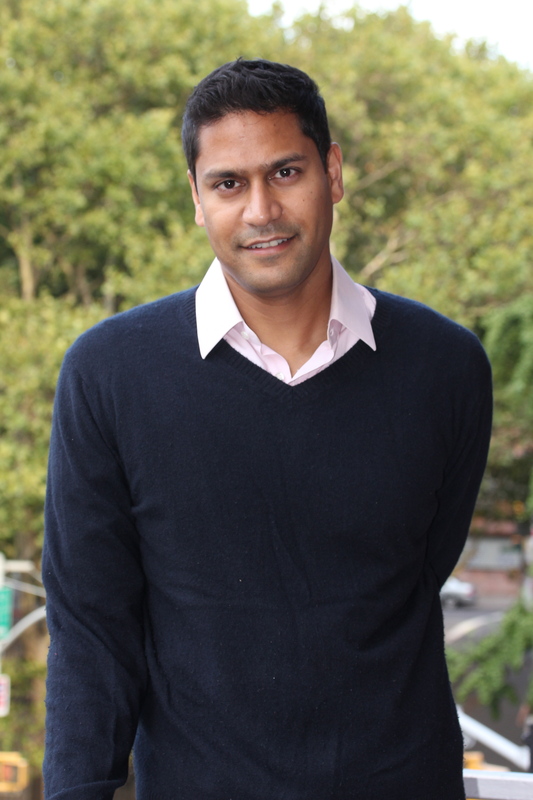 He then analyzes the company, its industry, and its valuation to determine if the investment makes sense. If it does not, he moves on to the next company his intuition leads him to analyze. If the potential investment seems safe or attractive, Buffett refers back again to his intuition regarding the management’s competency and trustworthiness. He also utilizes gut instincts with position sizing, overall market exposure, and in sensing danger. For example, he doesn’t completely analytically decide that one investment should be $1 billion while another one should be $300 million. A significant part of that decision is based on intuition. Buffett famously advises “to be fearful when others are greedy and to be greedy when others are fearful.” This statement implies a reliance on empathy. Empathy is the ability to put oneself in another person’s shoes and feel what they are going through. Buffett’s investment choices are directed towards companies and industries where he senses others’ fear. Buffett knows that every buying decision he makes is associated with someone else choosing to sell. While it is true that feelings like fear, sadness, shame and regret can lead to behavioral biases, which negatively impact decision-making, successful investing also involves utilizing empathy to take advantage of others making these common mistakes. In summary, Buffett shows us that investment success does NOT come from blocking out emotions. Rather, it comes through having the self-awareness to know which feelings are helpful and which are hurtful to your decision-making process. It also requires the deliberate cultivation of relevant intuition. Just like a chess grandmaster, Buffett’s intuition did not develop overnight. It is the result of years of experience and study. Finally, success depends upon developing the social awareness to be able to recognize when others ARE making mistakes because of some of their emotions. There is much more on how to successfully develop and safely utilize intuition and empathy in my book titled, The Emotionally Intelligent Investor: How Self-Awareness, Empathy and Intuition Drive Performance. [i] Garry Kasparov, How Life Imitates Chess: Making the Right Moves – from the Board to the Boardroom (Bloomsbury USA, Reprint Edition 2010). Note: Please see the Disclaimer associated with this Blog. I have never met Warren Buffett. The above text is my own opinion. Most technicians who write about their methodologies think that people should follow them just because of the results. They spend very little time explaining why chart reading seems to work. In this short blog post I try convince you that technical analysis is useful because of our behavioral biases. A support level on a stock chart is the result of our bias to sell winners too early and our inclination to make associations with prior positive outcomes. Imagine several people, who originally bought IBM near $160 and sold it at $180. They each experienced a positive outcome. Most of these people will create a mental shortcut that associates buying IBM around $160 with a positive feeling. Therefore, $160 becomes a support level. In fact, this association can be so powerful that they can ignore facts such as a deteriorating outlook for the company’s fundamentals or negative changes in the economy. Likewise, a resistance level on a stock chart is the result of the human self-defense mechanism against feeling the shame of being wrong. A resistance level is created when there are many holders anxiously waiting to sell for a lucky escape once they get back to a price that would yield a ‘break-even’ result or a slight gain. Imagine many people, who bought shares of Research in Motion (RIMM) at $15 because they were hopeful the company would turn its business around with new product introductions. After RIMM’s new products got bad reviews, some of these people sold, causing the stock to drop sharply. Those who didn’t exit, likely now feel stuck. They desperately want to avoid the shame that comes from selling at a loss, so they continue holding on to losing positions. They hope for a bounce back to $15, so that they can exit and break-even. Thus, $15 becomes a resistance level. Another common technical principle is that the stock market tends to bottom out as fewer stocks in the market make new lows. This “market breadth” rule makes sense when one considers the human bias to overly focus on a “win/loss” ratio. Most of us are biased to look at the number of times we are right versus the number of times we are wrong. Of course, this is absurd. In investing, you can have many winners which can be more than offset by a single loser. Nevertheless, when people see that most stocks in their portfolios are not making new lows, they tend to get a little happier, even if they are still losing money. The improved mood generally leads to increased risk-taking (There is a lot of academic research which shows that risk appetite rises as people become happier). Mood is also contagious, so when some get happier, others are likely to follow with increased risk-taking. The shift in mood among many market participants eventually leads to an inflection from a bear market to a bull market. Technical analysis (chart reading) can be helpful to most, if not all, types of investors. It works because it takes account of investor psychology. A chart can tell you a tremendous amount about what the current shareholders of a security may be feeling. It can be a visual manifestation of many behavioral biases. If you are an investor, who compares chart reading to astrology, you are missing out. I know, because I used to be in your camp. Similarly, traders, who focus too much on esoteric patterns without understanding what the chart is actually telling them, are also often using technical analysis incorrectly.